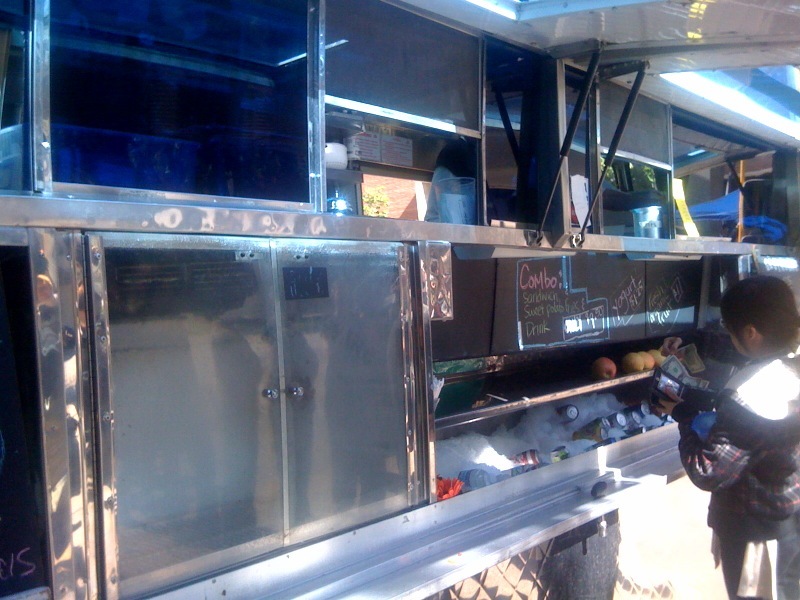 There is an amazing place on the UCLA campus where food trucks come during the lunch hour. Despite this being “commitment to health” week, I made an exception for this lunch. 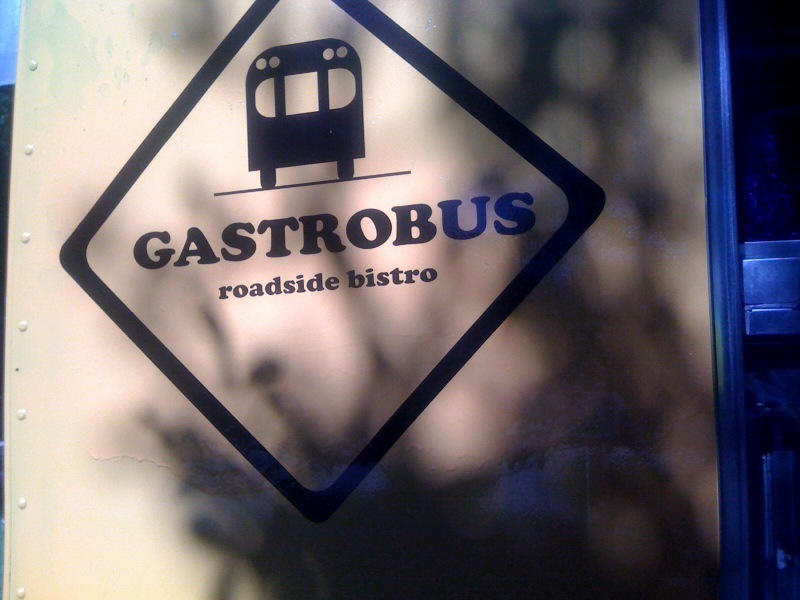 Gastro bus is a food truck based out of Los Feliz and has fresh food from the farmers market in that eastside neighborhood. They refer to themselves as a “bistro on wheels”. Apologies for the poor photo quality. The iphone really does not compare to my canon. I ordered sweet potato fries (of course, because they are my favorite!) 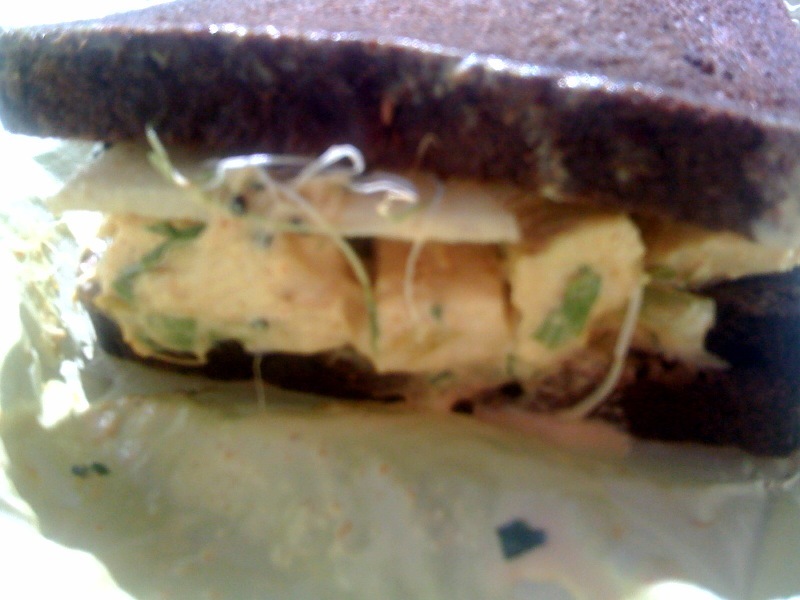 and the chicken curry sandwich. 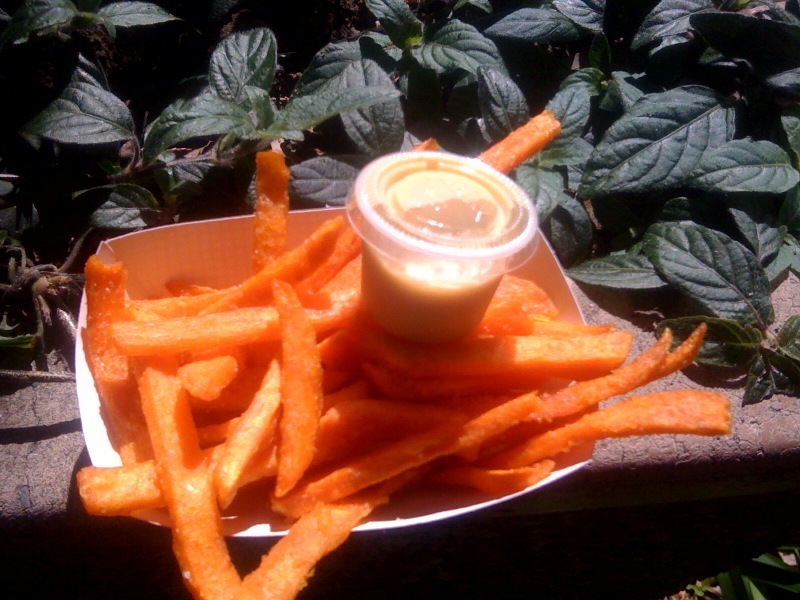 The sweet potato fires came with tangy honey mustard sauce which was perfect for dipping. The fries were fried as opposed to baked, which is how I normally enjoy my fries. Its been a long time since I’ve had a fry (ok, that’s a lie) but these were perfectly fried and so delicious. And the sandwich. It was on a dark rye (probably my favorite) and was very good.